Our first storm day in the USA. 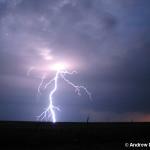 Near Roswell, New Mexico. 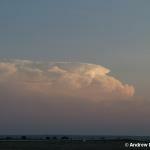 Dryline LP storms in north-eastern New Mexico. 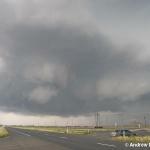 Two nice supercells, some large hail and some very nice wall clouds made for a great chase day around central Texas. Big chance of seeing tornadoes this day. 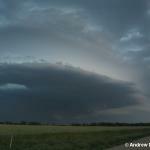 Cap ended up breaking too late but we still saw some AWESOME supercells and a phenomenal lightning display. 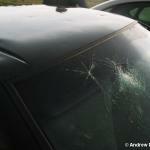 Although not our car, this is what softball sized hail does to a vehicle. 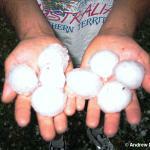 This was one of the big days of May 2005 for chasers. 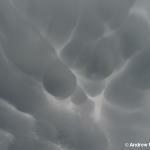 We missed the tornadoes but again saw some great wall clouds and structure. (More pics to come). Bustola. 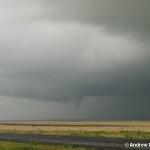 The cap didn't break this day and we missed out along with hundreds of other chasers. 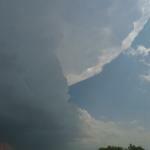 This pic shows how well the dryline is defined. Completely clear air on the right (west), cloud on the left (east). Another semi-bust. 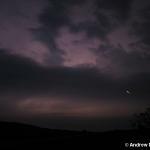 A line of storms developed at 10pm so we headed out for some lightning. Whilst watching/taking pics, we saw hundreds of firefly's. This is a pic of one. 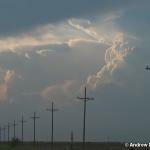 After a long drive, we scored some storms in the Texas Panhandle which were lit up nicely by the setting sun. 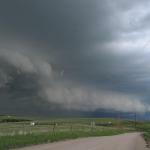 Some great high plains action was had on this day in Colorado with some nice late afternoon supercells near Lamar followed by an incredible squall line in the evening. Another awesome high plains day, this time in New Mexico where we witnessed some incredible mammatus and a very nice wall cloud. 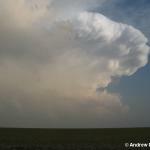 A slow moving storm and some very lucky photography provided for some nice images of this SE Colorado storm. 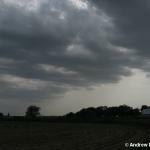 Another tornado day! 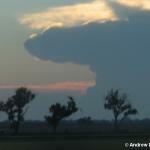 We scored 3 great supercells this day with the last one producing a nice cone tornado (see pics). 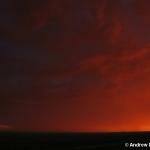 Another incredible day with 2 HP supercells, some big hail that dented out car and an awesome sunset. After busting in Kansas earlier this day, we raced 200 miles west to Colorado where we scored some AWESOME night-time structure as a long-lived supercell continued well into the night. We chased at 5000ft ASL this day in Colorado and scored a nice shelf cloud and later in the evening a pile of small hail which covered the ground. A nice way to end our USA chase.